Alright, so my first sponsored post. Although it’s not much, somebody gotta pay the bills, and as long as that somebody isn’t me — that’s awesome.Technically this isn’t my first sponsored post, I wrote a post some time back about Unotelly, but this is the first time I’m getting paid real, actual, hard-cold cash. So what’s the post about? 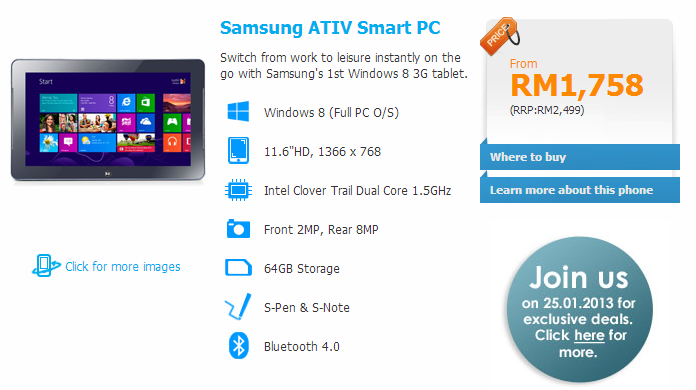 Well it’s the new Samsung ATIV PC promotion by Celcom!! For just RM1,758 you can get a the wonderful tablet pictured above from Celcom. You’re probably wondering why would anyone spend that much on a Windows tablet when you can get an iPad or a Galaxy Tab for the same price–until you realize it’s a Windows 8 tablet–and then you start wondering again. Until it hits you that this isn’t really a tablet, it’s ‘almost’ a full fledge PC–except with an optional keyboard. This is what Microsoft designed the Windows 8 ecosystem for, and this is Samsung best interpretation of Microsofts vision. No. You’d be lucky if the next iPad had just 1/2 of what the ATIV offers in terms of ports. For more info on the Samsung ATIV, check out this review from Slashgear. 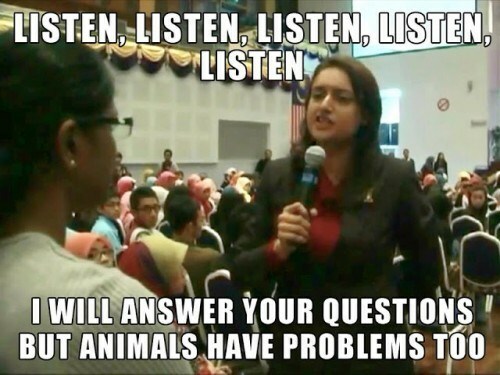 For the past week or so, Malaysians have been completely engrossed by the “Listen Listen Listen” video, and barely a day went by without me hearing some lame joke about listening, speaking…and even sharks. Over the weekend however, I had some time to contemplate through the craziness and realize that underneath this viral video that took Malaysia by storm had some rather interesting lessons we could all learn from–that includes the sharks cause everyone knows sharks have got problems and Jaws really needs to shut up and listen. The White House has a “We the People” website where any member of the US public can submit a petition.If the number of people supporting the petition exceeds 25,000 then the White House will at the very least respond. While for the most part, the petitions are boring and politically slanted — the coolest and most techy petition to date was one to “Secure resources and funding, and begin construction of a Death Star by 2016” . Now some of you might be thinking this was a joke–well it may have started out as one, but to date more than 34,000 Americans have signed it, well exceeding the minimum 25,000 required to elicit a response. 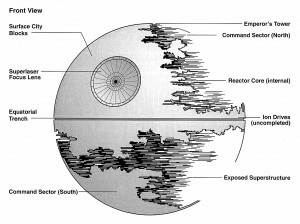 Some of you might wonder what the hell a death star is, to those people I say–your lack of faith is disturbing!! A couple of days ago, a reader of the blog wrote a rather long comment on a post I wrote about writing to TM’s CEO to restore my Unifi service. The comment detailed out a long horrific story of a foreigner in Malaysia trying to get decent broadband. I felt the story was to compelling to leave in the comments section and requested permission from the author to post it formally on the blog un-edited and in it’s original form, she consented and so here’s a little bed-time reading from a rather unhappy customer of both Maxis and Unifi. 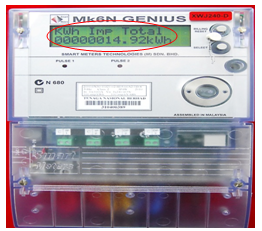 There’s been a huge controversy over the newly installed digital Electric meters by TNB, with consumers from all walks of life raising hell over their the perceived rise of their utility bills ever since they’ve installed thenew meters. USJ State assemblywomen Hannah Yeoh blogged about her response to this, urging TNB to explain the price hike. Of course, in typical Malaysian fashion–this is all mired in politics. A popular blog reported that the suppliers of the meters to TNB are linked to former Prime Minister Tun Abdullah Ahmad Badawi. Obviously if we intend to get into that we might not have enough time or space in this one post. My point though is that there is quite a simple engineering (or dare I say scientific) solution to the issue–something that doesn’t involve politicians or lawyers. It’s unfortunate that Malaysians immediately revert to political and legal solutions, when engineering and science can solve most of your problems for far less hassle, far more effectively. Many folks seem to be stuck with their Unifi Passwords. It’s actually quite simple. For the most part, most Shops and Restaurants that provide Free Wi-Fi via Unifi don’t change their Router Password allowing easy access for a nefarious intruder to logon and gain access to the router. Once inside, they’ll be able to do lots and lots of damage, including opening up a permanent backdoor to the router for continuous malicious fun! 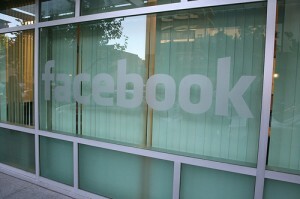 Don’t be afraid though, for the most part iPhones are pretty invulnerable to network attacks, ‘most’ Androids as well. However, a small select few who choose to roots their phones and install non-standard pieces of software may be susceptible to. Either of these should get you into your router. If you’re still unable to log onto your router, don’t despair. This is actually a good opportunity for you to practice your newly found skills. The guys over at Unifi Athena have actually come up with a way to find your router password through some very simple and easy steps, check out their tutorial here.